That’s Life Monthly features real-life stories contributed by its readers. Buy a single copy or subscription to That’s Life Monthly magazine. Each issue covers almost all matters ranging from lifestyle, health, beauty and fashion to intense topics like love, friendship, betrayal, miracles, marriage. The magazine is known for its authenticity featuring true stories. Readers will laugh, cry, and sympathize with the characters of the story. 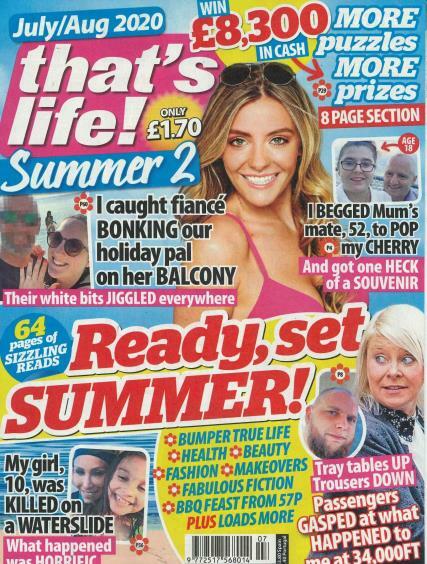 That’s Life Monthly is also packed with puzzles, cookery, jokes, health tips and more!